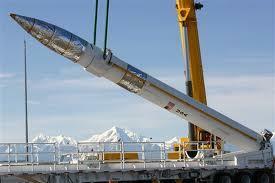 Alaska’s Ft. Greely is the primary staging site for the Ground Based Midcourse Interceptor system. The 26 missiles housed there include a mix of first and second generation kill vehicle technology, that Grego says together have a less than 50 percent success rate in tests, a track record she considers only part of the story. "Both versions have had upgrades and patches. According to an LA Times investigation, almost all of the interceptors have differences from each other. It's not clear that knowing that one works will tell you much about how well another one works," she said. Grego blames the ground based missile defense system’s less than stellar performance on its rushed deployment, dating back to the Bush Administration. "That's why we instituted fly before you buy. This was an experiment in getting rid of fly before you buy and this is the result: not very good," Grego said. The Missile Defense Agency had no one to available to answer questions this week, but a spokesman for Ground Based Midcourse Defense contractor Boeing, Terrence Williams says the company is confident in the technology. 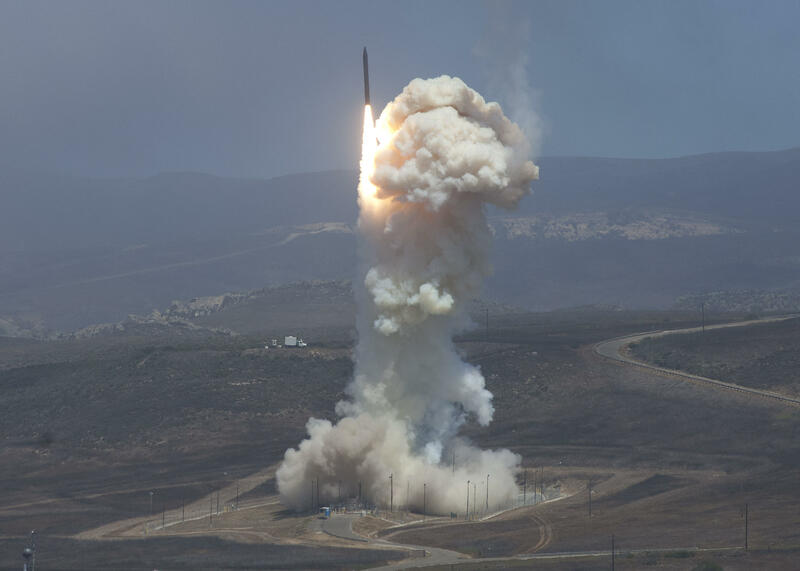 "The significance of this test is that it is the first intercept using an enhanced version of the EKV, also called the Exo Atmospheric Kill Vehicle, and we remain confident in the system's ability to defeat adversaries both now and in the future," he said. Williams could not comment on whether or not all system missiles will be upgraded with the latest kill vehicle. The Obama Administration said in March that it would not move forward with the addition of 14 new interceptors at Ft. Greely unless Sunday’s test was successful. There’s been no word since the test on the over $1 billion interceptor build up and other planned system upgrades, but members of Alaska‘s Congressional Delegation heralded the success. Environmental officials are reviewing cleanup work that’s been done at a military test site south of Delta Junction. The Army tested chemical- and biological-warfare agents at the site during the height of the Cold War. The state and military want to round up all available information on cleanups that’ve been done at the Gerstle River Test Site and surrounding area to ensure it doesn’t pose a threat to human health. Updated: State Forestry officials said this morning that the 100-Mile Creek Fire is now 50 percent contained. 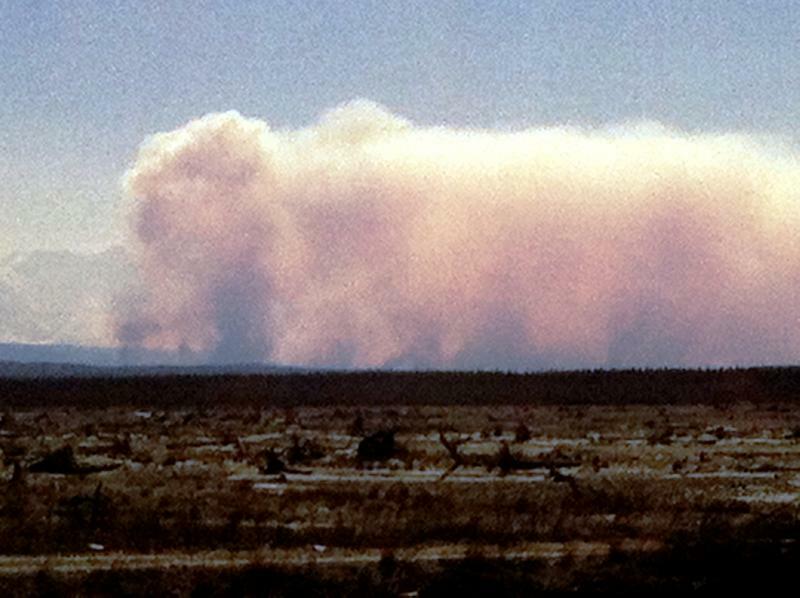 State and federal fire officials say they think they’ve got a handle on the 100-Mile Creek fire, burning mainly on military training land west of Delta Junction. But the officials say they won’t know for certain until they see how their fire lines hold up after high winds blow through the area later today. 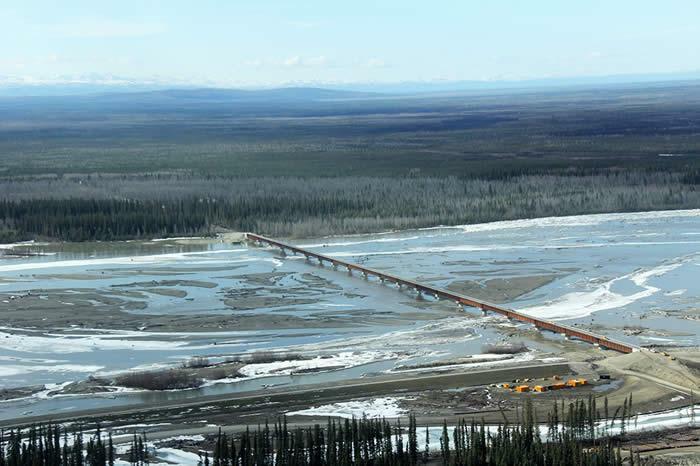 Alaska’s longest bridge is pretty much done. The 3,300-foot structure now spans the Tanana riverbed just west of Salcha, providing the military with year-round ground access to its training ranges on the far side. But, state officials don’t yet know where they’ll get funding to begin work on the next phase of the Northern Rail Extension project.